Creations, Subversions, Redemptions and Harmonies. Boston, MA. Editor: John Shoebridge Williams. 1/1, January 1854. Only one issue known. Williams (1790-1878) was a true original. 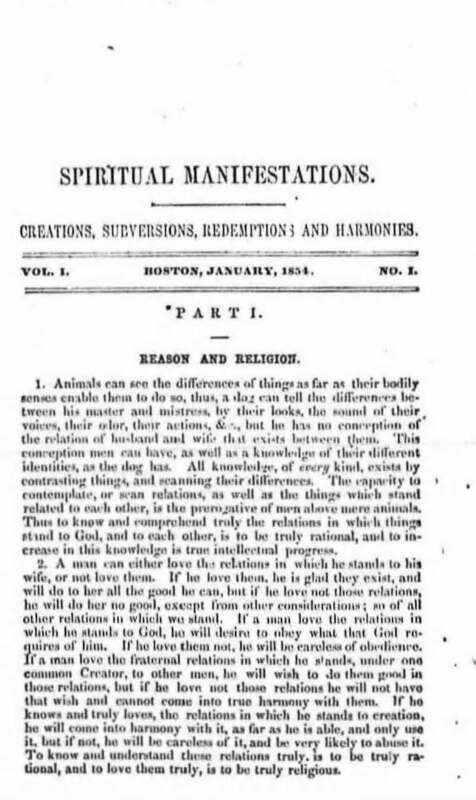 On him and the Order of the Patriarchs, see the notes under The Christian Spiritualist and The Age of Progress. Johns Hopkins University.